Preorders start in July for the massive 4K touch PC, and a smaller model will cost only $6,999. Microsoft is hoping it’ll undo enough meeting headaches to justify the asking price. Microsoft will sell the Hub exclusively through major enterprise hardware distributors in 24 markets. But you may not need a well-endowed business to check it out yourself; Engadget reports that it’ll eventually be on display in Microsoft Stores. 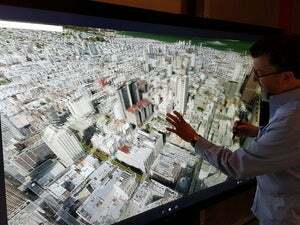 Why this matters: Microsoft isn’t the only one making jumbo touch PCs for enterprises. InFocus, for instance, has been producing similar devices in its MondoPad and BigTouch lines for years, and in many cases for less money. 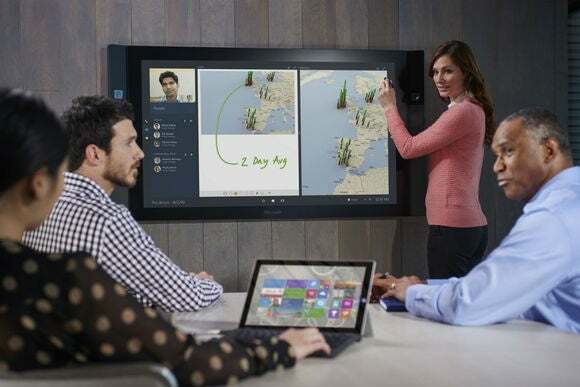 The difference with the Surface Hub is its focus on collaboration, with a marriage of hardware and software that other companies won’t be able to pull off. It could be worth a little extra cash if it lives up to the promise of less excruciating meetings.